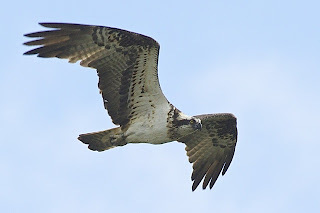 TheTamshee: has spent some considerable hours observing a "duet" of Ospreys in the yarrow valley while testing my newly acquired Swarovski spotting scope. This kit with up to 60 times zoom is top quality. 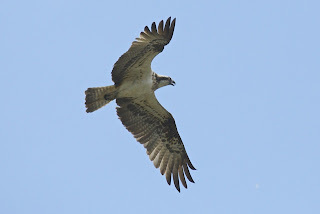 My main focus has been on an adult male & juvenile which seem to be in prime condition. They have been spending most of the days soaring on the warm thermals above open stretches of the yarrow water and resting on favourite fence posts high up on the overlooking hillside. Photographing these majestic birds in flight has been quite challenging but very pleased with these shots.